For the fourth episode of The Thrive Global Podcast, in partnership with iHeartRadio, Thrive Global founder and CEO Arianna Huffington sat down with a true force of nature. 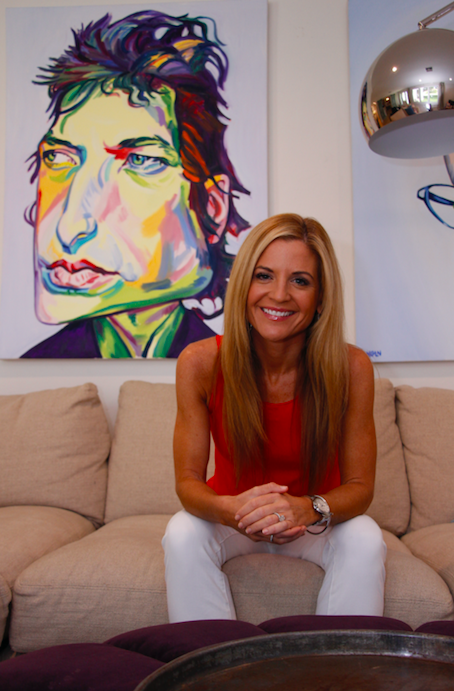 Glennon Doyle Melton’s ability to connect, to create intimacy, and her fearless honesty about both the highs and lows of her own life, her marriage, and her relationships have created a devoted following. This is why the online community she founded, Momastery, reaches millions of people each week, and why her two books, “Carry On, Warrior: The Power of Embracing your Messy, Beautiful Life,” and her 2016 memoir, “Love Warrior,” became huge bestsellers. She’s also an activist, a person of faith, and the founder of Together Rising, a nonprofit that’s raised over $7 million for vulnerable women and children. For those who don’t know her story, after becoming sober, getting married, having children, and having what she thought had been a solid 14-year marriage, which she’d been chronicling throughout, she found out her husband had been having affairs all along. That revelation, and the aftermath was the subject of “Love Warrior.” Then a few months before publication she announced that, in fact, she and her husband Craig were separating. This past November, she announced her engagement to former professional soccer player Abby Wambach. The two were married in May. And you can tell she means it. “I’ve had two major rock bottoms,” Melton said. The first was a personal one. After two decades of struggling with alcohol addiction and an eating disorder, Melton learned she was pregnant on Mother’s Day. She describes the moment as an “eviction notice from life.” But one that also had opportunity. Then one day in therapy Melton’s then-husband told her that he’d been unfaithful throughout their entire marriage. And in that moment: a second eviction notice. The first was a “good call.” This one was harder. Download the podcast here to learn how you can thrive more like Glennon, and be sure to stay tuned for more episodes of The Thrive Global Podcast, featuring business mogul Mark Cuban, astrophysicist Neil deGrasse Tyson and Jennifer Aniston.